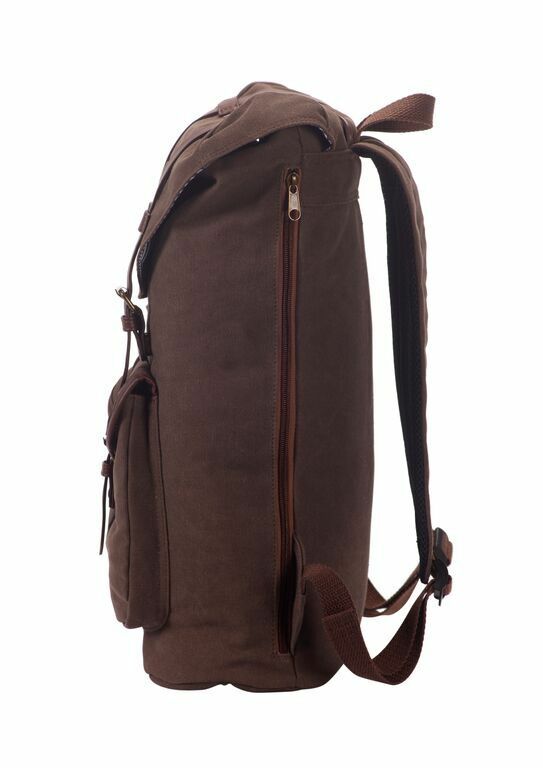 Voice NYC, an innovative designer of wearable electronic gear, has created an exceptional backpack. It's a great option for day trippers, tourists, campers, hikers, sports fans, journalists and others who take rechargeable electronic devices to places where they can't plug in to recharge. The 1 Voice Mapmaker FYL Backpack with Built-in Charger is simple, stylish and sturdy. It features a special padded compartment designed to hold a tablet or a laptop as large as 14". Next to the padded compartment is an internal pocket containing a 11,000 mAh lithium ion battery. The backpack's main compartment is 18" x 13.5" x 6"; large enough to carry a 16" laptop, plus some clothes and bottle of water. A 6" x 6" x 1" external flap pocket is big enough for a phone, glasses, sunscreen and a sandwich. Every detail of the Mapmaker FYL Backpack reveals the CareFusion compartments, allowing you to retrieve items from the bottom of the bag without having to unpack it from the top. The cotton canvas exterior and light cotton interior lining have neat, evenly-stitched seams. The padding is compact, not too spongy. The battery pocket is larger than the battery and is held in place with a single strap instead of a flap. This permits the battery to charge a tablet in the padded compartment, without overheating. The battery can be removed from the pack for recharging or to reduce the pack's weight (2 lbs. 8 oz. with the battery). The opening at the top of the pack has a fail-safe system. It closes with a bolo tie drawstring and is covered with a flap secured to the front of the pack with two adjustable straps. Buckles adjust the straps' length; but, for convenience, those buckles attach to the bag with large magnetized snaps. That means you don't have to unbuckle the straps every time you open the bag. After quite a bit of use, the flaps on our bag have never opened accidentally. One other thoughtful detail also impressed us. A skosh of padding, covered with a nylon web, on the inside surface of the shoulder straps lifts them away from the shoulders and chest to increase comfort. In short, the Mapmaker FYL is well-conceived, well-designed well-made pack. Dimensions of the Mapmaker FYL Backpack: 18" x 13.5" x 6"